New and improved screening techniques can ease your concerns about your baby's health. Will my baby be healthy? Of all the concerns that accompany pregnancy, this one usually tops the list. Despite the reassuring statistics that most babies are born normal, peace of mind is something that pregnant women crave even more than pickles and ice cream. Tremendous advances in genetic testing have helped fulfill the need to know, but some of these tests pose a small amount of risk. Therefore, it’s important that all pregnant women be familiar with the value of the tests and who should take them. Blood Tests and Ultrasound Of all the genetic tests available, blood tests and ultrasound are the least invasive and most risk-free. Maternal-fetal medicine specialist John Williams III, M.D., of the Prenatal Diagnostic Center of Southern California in Beverly Hills, says that all women can benefit from alpha-fetoprotein (AFP), a blood test that screens for certain birth defects, and ultrasound, which provides a noninvasive sound-wave picture of your baby in utero. AFP Also called expanded AFP, this test of the mother’s blood is performed between weeks 15 and 20 to screen for conditions such as neural- tube defects, including spina bifida (a congenital defect in which the spinal cord fails to fuse completely, leaving nerves exposed) and Down’s syndrome (a condition that includes mild to severe mental retardation). Also referred to as a triple-marker blood test, AFP picks up about 90 percent of neural-tube defects and 60 percent of Down’s. If the test indicates a higher-than-average chance of either condition, doctors usually recommend amniocentesis to get more definitive answers. Ultrasound Using ultrasound, sonographers can check out a baby’s tiny structures, while expectant parents watch with awe. Depending on their experience and the machine’s resolution, sonographers can spot such conditions as spina bifida and congenital heart defects in fetuses. If your baby cooperates, the test also may be used to determine gender. One of the newest advances in fetal ultrasound is 3-D imaging, which can give an even clearer, more precise picture of the fetus. Maternal genetic blood test This test probably is three to five years away because it is still in the testing phase. However, it may prove able to yield genetic information early in pregnancy. Researchers at the University of California at San Francisco recently reported that they diagnosed two fetuses at risk for genetic disorders by analyzing the mothers’ blood in their seventh week of pregnancy. Amnio and CVS Amniocentesis and chorionic villus sampling both provide definitive genetic information. The risk of procedure-related miscarriage for amnio or CVS is about one in 200. That is roughly the same as the rate of chromosomal abnormality in babies born to mothers at age 35. Because the number of pregnant women 35 or older has doubled in the past 20 years, more women are considering these testing options than ever before. “The risks [of the tests] are very similar,” says Karin Blakemore, M.D., director of maternal-fetal medicine and prenatal genetics at Johns Hopkins University School of Medicine in Baltimore. “Because CVS lets a woman know two months earlier [than amniocentesis], many prefer it.” Women with a history of multiple miscarriages might elect to wait until later in the pregnancy to take an amnio or opt for neither of the more invasive tests. Amniocentesis This test involves inserting a thin needle through the patient’s abdominal wall into the amniotic sac and drawing out a small sample of fluid. Cells from this fluid are then grown in a lab, where chromosomal structures are analyzed. Women usually have an amniocentesis performed between their 16th and 18th weeks of pregnancy. Results are available in 10–14 days. CVS Chorionic villus sampling involves removing a tiny fragment of chorion, the tissue that develops into the placenta. Doctors take this sample by passing a fine catheter through the cervix or a needle through the abdominal wall. Down’s syndrome and other genetic disorders (but not spina bifida) can be detected by CVS. Women usually have this test in their 10th or 11th week and get results in two to four days. Several years ago, reports suggested that women who took the CVS test had a higher incidence of babies born with limb abnormalities. A short time later, however, a World Health Organization study found that the incidence of limb abnormalities in babies whose mothers had taken the test was no greater than in the regular population. CVS can cost a bit more than amnio. Depending on the center and the area in which you live, an amniocentesis may set you back $1,000–$1,500, while CVS costs from $1,200–$1,800. Some centers, such as Blakemore’s, offer both tests for about the same price, so cost isn’t a deciding factor. To gauge a doctor’s competency at CVS or amniocentesis, ask how many procedures he or she has performed (the doctor you choose should perform them hundreds of times annually), as well as his or her miscarriage rate. Also find out how often the doctor performs the tests. 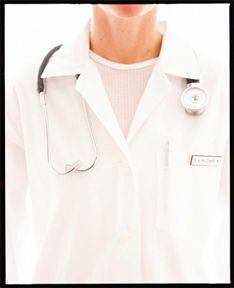 If possible, find a doctor who specializes in genetic testing. Most prenatal centers offer prenatal genetic counseling before testing. Counselors consider the genetic profile of each parent and answer specific questions as they relate to your baby. Genetic counselors are trained to respect and understand all that affects your decision about what tests to take. Don’t forget that the decision is always yours, not your doctor’s, to make. If you ever feel pressured, seek a second opinion.